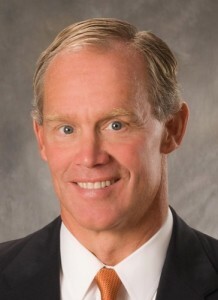 Pennsylvania State House Representative Mike Turzai has spoken. In a legislative proposal released January 25, 2013, Turzai outlined a Charter and Cyber Charter Funding Reform Package speaking to the need for a variety of changes to alternative school fiscal planning. The package proposal can be accessed by clicking HERE. What does a proposal of this nature mean for Pennsylvania’s charter and cyber school populations? If passed, it could mean a lot of things. Among the action items are goals to address the current special education funding formula, the calculation of school district deduction allowances, direct payment planing for charter schools, and the charter renewal processes. This is a significant piece of legislation, as it speaks to some of the concerns voiced across the state for several years. So, how is everyone taking this piece of legislative action? In an article recently released by The Commonwealth Foundation, writer Priya Abraham notes the proposal is somewhat shortsighted due to its negligence of big-picture considerations. There are currently some 32,000 students already enrolled in charter and cyber charter schools, statewide. The demand for these schools, as well as enrollment in those schools, are on the rise. Serious cuts in funding are sure to have a serious impact on a large number of students. Massive cuts hurt the ability of currently operating schools to function at the same level as they have been. Included in the proposal is the allowance for school districts to cut up to 50% of costs incurred for things like extracurricular activities, student health services, and library services. Unfortunately, these deductions are not being met with new allowances for additional costs incurred by cyber charter schools. Such funding is currently being used for things like server space, networking maintenance, additional information technology specialists, computer hardware and software, and more. Abraham acknowledges that the very purpose of the School Choice Movement is to put the power of choice in the hands of parents and students. However, limiting resources for alternative schools makes the choice between which school to pursue that much harder. Would you prefer your students attend a school with limited resources and fiscal means? Or would you prefer to send your child to a school where his or her needs can be adequately met? What, then, is the answer? Some will wait to see the outcome of this pending legislation, while others feel called to action. As a cyber charter school, we hope that decisions made will consider the impact on students. We want to meet the needs of our unique population, and continue to provide the utmost support for learners. As a public school, we want the ability to cater to the growth and development of our community of learners. We hope this is the goal of others as well.